Google's most recent algorithm update referred to as the Google Penguin seem to have made the scores even, which proves to be an advantage to minor sites. Prior to Penguin, a lot of websites dominated the SERPs for stuffing articles with keywords, participating in negative link building schemes, and creating duplicate contents among other practices that violate the guidelines set forth by Google. By launching the Penguin, Google turns the table, and allows sites that used to get overlooked for being natural to rank on top. Although other major search engines like Yahoo and MSN remains as is, Google still has the final say when it comes to search engine optimisation. But unless you do not need visibility for your website, Google won't matter. Keywords are used to increase the relevance of web content. Before Penguin, stuffing an article with keywords in the title tag, subtitles, paragraphs, meta keywords and side bars, helped it rank no. 1 in Google. By this habit, SEO services tend to sacrifice content quality over SERP performance. The internet is a portal for disseminating information to the target audience, and this purpose is taken for granted due to the desire to beat other websites in the search engine lists. 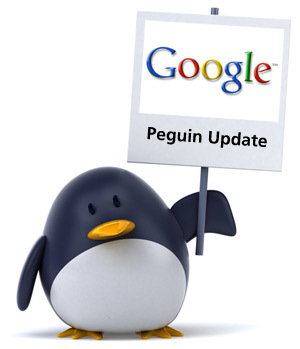 Google Penguin aims to make contents appear as natural as possible for better understanding by readers. It is recommended that web contents have a keyword density of less than 5% as more than this will send a red signal to Google. Backlinks are links from other sites. It makes use of anchor texts to direct users to the page or site you wish them to view. Backlinks are now limited to related sites only. Before, it is possible to link any other site by using a click here, see mywebsite dot com and other similar anchor texts. This will not work anymore, and Penguin will only put you further in the SERPs if you will insist on doing so. All sentences have to appear natural, and the anchor texts should be relevant to the landing page. Thus, if your article is about making quality contents, you cannot add impertinent sentences to it and use them as anchor texts. If you are thinking about reproducing contents to increase visibility of your website, you can get penalized by Penguin. When Google detects duplicate contents, it selects the most original before displaying the search results. Thus, if yours is a copied content, it can get kicked out of the SERP. 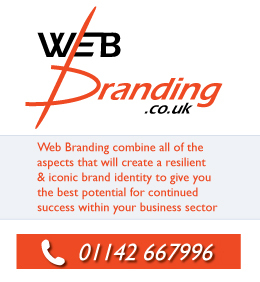 Rob Playford is the Creative Director and co-founder of Total SEO Services, an innovative online SEO Services Company. Total SEO Services provide all the necessary tools for effective Company Branding, powerful Search Engine Optimisation and extensive Web Development skills to ensure online business growth. 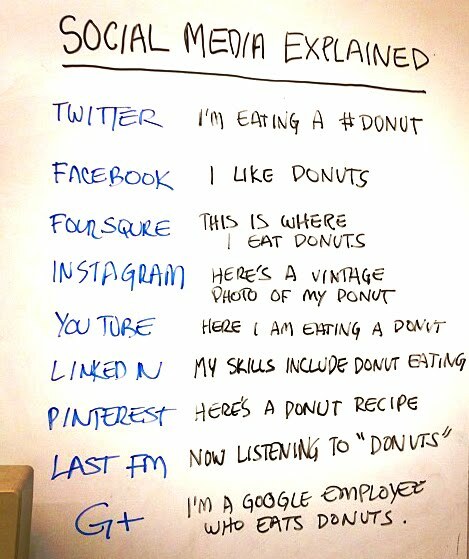 Social Media Explained via the Donut Theory!